I travelled to lovely Devon to attend Bako Westerns 50th anniversary trade show.As usual it was a fantastic day and we were all looked after by Bako extremely well. 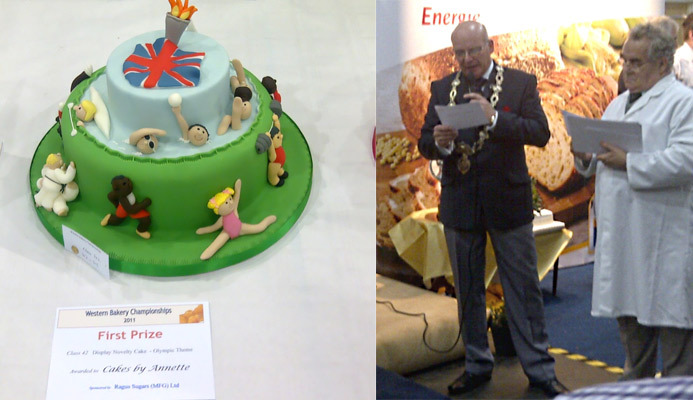 The two highlights of the day were of course the Western Region Bakery Competition where Ragus is the sponsor of the novelty cake section and also the presentation of the chains of office for the new president of the Western Bakery Region to Chris Wreford, Bako Westerns highly energetic sales manager. Well done Chris! A big thank you to Bako Westerns General Manager Stuart Wilson all the Bako team and I look forward with anticipation to the next one. Ragus is the sponsor of the novelty cake section and also the presentation of the chains of office for the new president of the Western Bakery Region to Chris Wreford, Bako Westerns highly energetic sales manager.